Spam can be described as the unwanted mail. The most common type of spam is e-mail spam. Spam mostly includes product and service advertisements. Certain spam mails contain malicious content and/or viruses or may direct users to websites which contain viruses. Some spam messages may also be part of identity theft scams or phishing scams. The first acknowledged spam was a message promoting a new type of DEC (Digital Equipment Corporation) computer, which was sent to 393 users on ARPANET in 1978, by Gary Thuerk. The first instance of a mass commercial spam campaign was in 1994, when Laurence Canter and Martha Siegel, both lawyers, started to post multiple messages regarding immigration law services on Usenet. 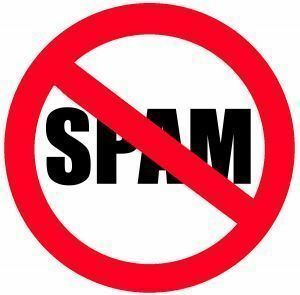 The idiom spam is derived from the SPAM comedy sketch of the BBC comedy series ‘Monty Python’s Flying Circus’. It is basically the spamming of blog sites. Multiple comments are placed in reply to different blog posts; these comments include a link to a commercial web site. It is spam being sent to users logged into instant messaging services such as Yahoo, Msn, and so on. Spam is spread through chat rooms and sent directly to IM users. Most of the instant messaging providers have built-in spam control and reporting. Video sharing sites are spammed by posting messages on user profiles. The messages usually contain web site links and suggestive text to attract other users to an external website or another user profile. Another method would be to upload a movie with a completely different title and depiction from the actual content. Search engine spam is also known as spamdexing. 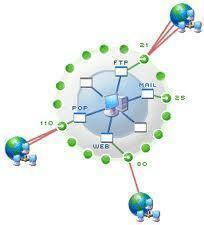 It can be defined as manipulating the web pages to boost the search engine ranking. Mobile phone spam includes using the SMS service of a mobile service provider to send unwanted messages. The USA is believed to be the country with the highest number of generated spam messages, along with South Korea, China, Russia, and Brazil completing the top five. SpamAgent is designed for both businesses and home users who get too much unwanted spam. SpamAgent comes with over 1,500 preset filters but also allows you to customize your own filters based on things like email addresses, subjects, keywords, and more. SpamAgent allows you to make as many customized filters as you want and also allows you to plug-in other spam-filtering features from other sources. Moreso, SpamAgent allows you to create a friends list that ensures that emails from your friends and family are never blocked, whether they pass your filters or not. Cloudmark is specialized in “messaging security”. It can block spam and it can also protect you from viruses and “phishing” messages (messages that lure you to a false webpage where you are asked to enter your personal information). ChoiceMail allows you to set the rules to decide how you receive information and also makes sure that emails coming from your friends and family are never blocked. ChoiceMail sends an electronic query to the sender and if they do not respond, their email is not delivered to your inbox. Sendio is a new and unique approach to spam filtration. When you initiate a Sendio account, you are creating a community to which the people you know must belong to in order to email you. When someone sends you an email, they will receive a message asking them to join your community. If they do, their original message will be delivered to your inbox as well as all future messages. AlstraSoft Anti-Spam is an anti-spam program designed for businesses and costs $145. When someone sends you an email, AlstraSoft Anti-Spam sends them a verification link and all they have to do is click on it for the email to go through. Once they do this, they will also never have to click on the verification link again. If they do not click on the verification link, their email is deleted before it ever reaches your inbox. If the spammer happens to click on the verification link and you get spam, you can flag it as such and the sender will be blocked. MailWasher is a free spam filter that works with virtually every email program, including Outlook Express, Mozilla Thunderbird, Gmail, Incredimail, Windows Mail, Yahoo Mail, and Hotmail. MailWasher is currently being used by over eight million users worldwide and the software never expires. 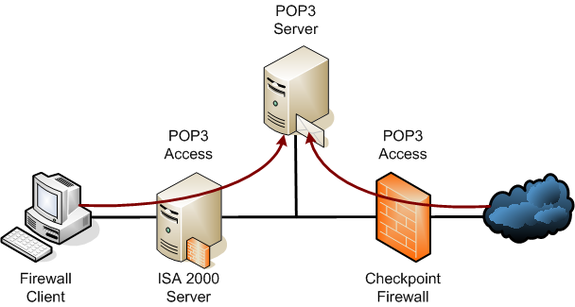 MailWasher simply needs to be installed on the user’s computer and then configured as a plug-in for the specific email client that is being used. 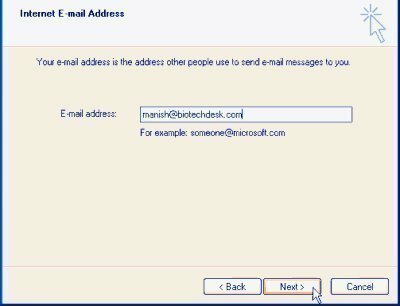 Once MailWasher is setup and configured, the user is able to check their email and then mark each email or recipient as either Good or Spam. The software will eventually learn to automatically flag email messages based on the user’s selections. MailWasher can be downloaded for free at http://www.mailwasher.net/ . Spam Blocker is another free antispam software created and distributed by Untangle. Spam Blocker uses a powerful algorithm to flag and block spam before it even reaches the user’s inbox. Spam Blocker is free, open source, and can be downloaded from http://www.untangle.com/spam-blocker . SPAMfighter is a free spam blocker for Outlook Express, Windows Mail, and Mozilla Thunderbird. SPAMfighter currently has over seven million users and interlinks all of these users into a single community. For example, if you receive an email that is spam but was not detected by the software, you can simply flag the email as spam and all users that belong to the SPAMfighter community will be protected. For messages that are flagged as spam, the software simply stores them in a separate folder marked as SPAMfighter. SPAMfighter can be downloaded for free at http://www.spamfighter.com/ . Easy Email Spam Filter is an anti-spam software designed to block incoming spam and send it back to its creator. Easy Email Spam Filter works with virtually all email clients but cannot work with browser-based email services. The software has its own interface and must be launched as its own program but does provide a shortcut to the existing email client on the user’s computer. Easy Email Spam Filter can be downloaded on a free trial basis and can be purchased for $14.95. The software can be found at http://www.easyemailspamfilter.com/spamfilter/ . Free Antispam Scanner is a free antispam software that is able to sort emails into multiple categories so that users can quickly and effectively detect spam. With Free Antispam Scanner, only the headers of messages are seen in the interface and messages are not downloaded to the user’s computer until they are cleared as safe. The software includes security tools, a learning algorithm to make decisions about email messages, and a separate category for spam so that important messages are never lost. Free Antispam Scanner can be downloaded for free at http://www.styopkin.com/free_antispam_scanner.html . 209 queries in 0.484 seconds.